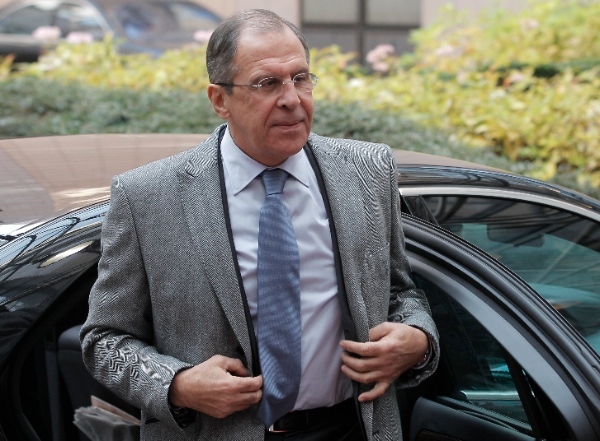 Russian Foreign Minister Sergei Lavrov has put to bed speculation of a possible expansion of BRICS membership. During a joint press conference in Moscow with visiting Argentinian Foreign Minister Hector Timerman, Lavrov said that the issue had not yet been tabled for discussion by BRICS – Brazil, Russia, India, China, South Africa – leaders. “As far as the possible expansion of BRICS is concerned, this issue requires consensus in this organization. So far, no ideas have been voiced about planning further expansion,” he told reporters. Lavrov was responding to news reports earlier in the month which quoted India’s Ambassador to Argentina, Amarenda Khatua, who said that Buenos Aires had expressed interest in joining the powerful bloc, and that BRICS countries welcomed the idea. In a previous statement made to The BRICS Post, India’s Ministry of External Affairs denied that there were any immediate plans for expanding the bloc. In recent weeks, economic analysts in Africa had suggested that Nigeria was ready to join BRICS. And last year, during his visit to India, then Egyptian President Mohamed Morsi had suggested that his country should join BRICS. “Obviously, we are interested in developing relations with BRICS in international politics. We will surely continue working with BRICS, G20 and other venues … but it is up to BRICS to decide on the agenda, not Argentina,” he said. The Argentinian foreign minister said he looked forward to signing a number of bilateral agreements regarding nuclear power for civilian use, trade and scientific cooperation. “During the meeting, we thoroughly studied bilateral and international relations, including regional problems,” Timerman said in statements carried by the Russian news agency Itar-Tass. “We’re confident that it is necessary to build relations on a multi-polar basis. It is unacceptable to use the policy of double standards,” he added. Truly this bloc is the most important of our time! The new trade platforms discovered in New York awhile back in May 2nd 2014, shows us the powerful ramifications of this kind of trade. China has the forward motion of this new system and frankly Argentina could be included! Dragon Mart in Cancun Mexico is near its completion and certainly wilt show a great sense of economical power available for those responsible nations. The new Chinese Dragon Mart truly provides a place for distribution of Chinese products in the Americas excluding U.S. from the main profits… The concern of U.S. is the shifting from the so used to buy in U.S. and going to Mexico and buying up to 5X cheaper the same products truly causing further deterioration of U.S. already weakened market! Brazil has shown no interest in having Dragon Mart! The main fight in this country yet is related with the state owned petroleum company Petrobras bankrupt for years… There is a false sense of patriotism kept for some time but the Brazilians are much more on top of things and the people are showing their disgust for this miserable government. Truly privatization of this “white elephant” is the most viable way of either making it profitable or scraping it! For Brazil the benefits of the so known “pre-salt” layers is far gone from future dreams because the people realized there is a lack of refineries and these deposits are not viable at this time. Until Petrobras is dealt with, the projects won’t go anywhere! The headline here is misleading. According to the body of the story there is great interest with Argentina. But it’s just not open for discussion at the moment.